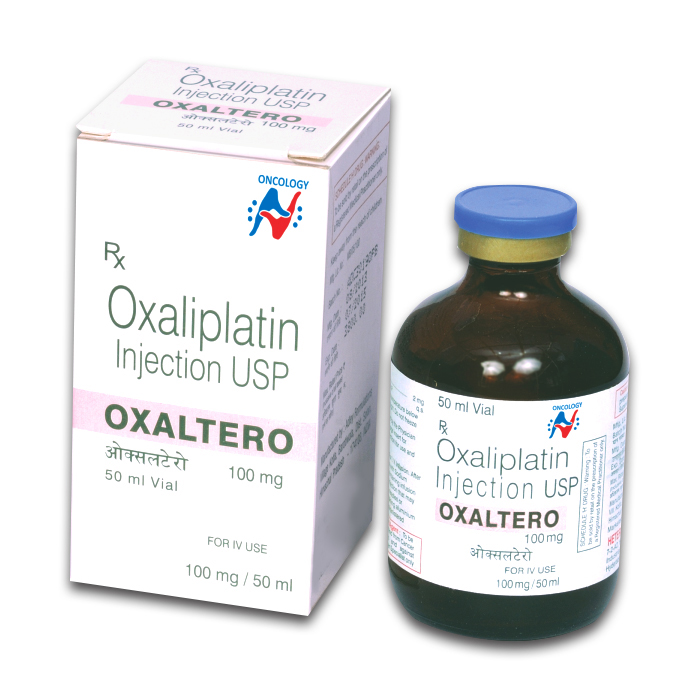 With an aim to provide immense satisfaction to clients, we are engaged in offering the best grade oxaltero 100mg. As a quality conscious enterprise in this field, we are engrossed in providing the finest grade oxaltero 100mg. This medication is an antineoplastic agent, prescribed for colorectal cancer either alone or with other medications. It works by killing cancer cells and slowing tumor growth. Oxaliplatin harms cancer cells causing their death. It comes as a solution for injection, to be administered by a healthcare provider into the vein. Adult: IV Advanced colorectal cancer- with fluorouracil and folinic acid: 85 mgm2 2 weekly.